Election Report The presidents we really needed. America swears in her 44th president on January 20. Sam Houston (1860): Texas, the South and America needed a man like Sam Houston on the threshold of Civil War. Unfortunately, Texas, the South and America didn’t listen. I, for one, am always moved by the Big Guy’s speeches against secession (have I mentioned that I grew up in South Carolina where they’re still fighting the Civil War?). Fox News, Rush Limbaugh and bloggers (who really should get a life) would have had a field day dredging up first wife Eliza Allen, Sam’s drinking binges and his years among the Cherokees. If he could have reined in that ego, Sam would have made our country even greater. Besides, I think the United States of Houstonia has a nice ring to it. Vice President: Antonio Lopez de Santa Anna. Esther Morris (1872): The women’s lib movement started in, of all places, Wyoming, where women earned the right to vote in 1870. Esther became the first female justice of the peace, hearing 26 cases, and became a symbol for women’s suffrage. A statue of her stands at the Capitol in Cheyenne. I don’t understand Wyomingites. They give Esther only a statue but name a state park after sportscaster Curt Gowdy. Esther wasn’t comfortable giving speeches, but Hillary Clinton and Sarah Palin would be nothing without Esther. Vice President: Calamity Jane Cannary. George Armstrong Custer (1876): Let’s say the fabled Boy General survived and didn’t blunder at Little Bighorn. He had spoken out against corruption, and America in 1876 was sick of scandal (thank you, U.S. Grant). Okay, so Custer couldn’t beat Sitting Bull or Gall, but certainly he could have taken down Republican Rutherford B. Hayes or Democrat Samuel J. Tilden. I suspect, alas, the country would have quickly grown tired of Libbie as First Lady, not to mention the op-ed pieces in The Washington Post by Custer-hating Capt. Frederick Benteen. Vice President: Crazy Horse. Quanah Parker (1896): Talk about a great personal story. His father was a Comanche chief. His mother was an Anglo captured in Texas. He led his people against oppressors, and then, when all seemed lost, he helped them adjust to the trying reservation years. His refusal to keep only one wife would have helped him carry Utah, and his teachings about peyote would have endeared him to the guys and gals I went to college with. Most important, he certainly would have kept the U.S. out of that little war in Cuba, preferring to invade Texas again to steal more horses. Vice President: Teddy Roosevelt. 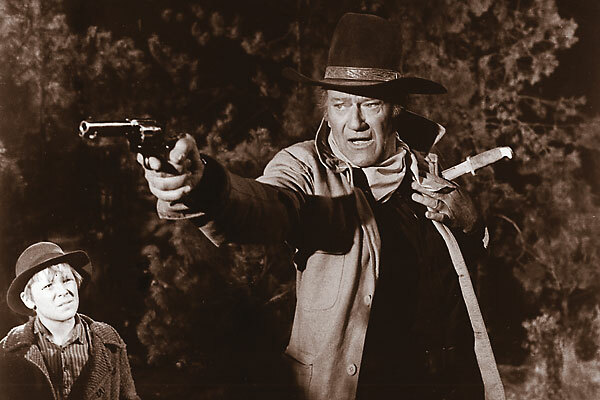 John Wayne (1968): Don’t get me wrong, pilgrim, but the Duke was actually asked to run for national office. Think about it. 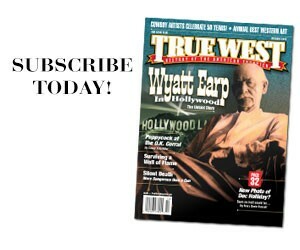 He was a better actor than Ronald Reagan, and, really, don’t you think he would have made a better V.P. than Spiro T. Agnew? John Wayne wouldn’t have flipped off hecklers after resigning in disgrace. He would have told them to fill their hands and started blasting. As president, he would have nuked North Vietnam, nuked Moscow, nuked East Berlin, nuked Cuba, nuked Berkeley. Vice President: Jane Fonda. 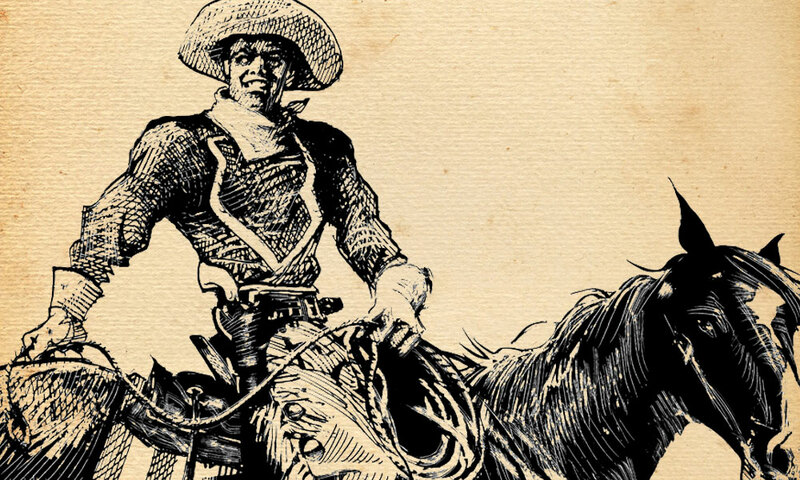 Curly Bill Laughs at His Fate The mystery of what happened to the laughing outlaw remains to this day. 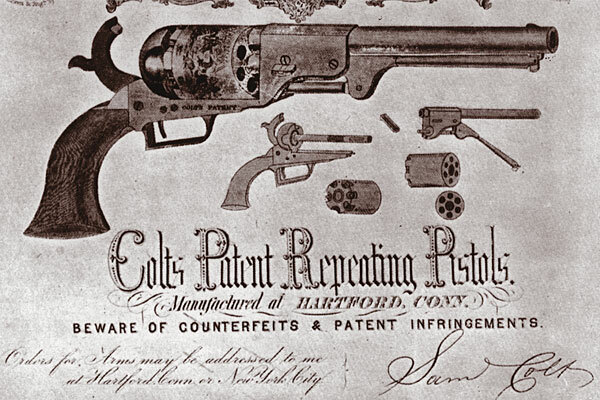 Colt Revolver Cylinder Scenes More than just decorative artwork! Summer Harvest Beer The non-alcoholic and gingery kind, that is.